You are self-conscious of your nose. 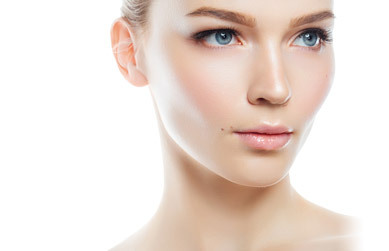 The first indication that you might benefit from rhinoplasty is that you are bothered by the way your nose looks. 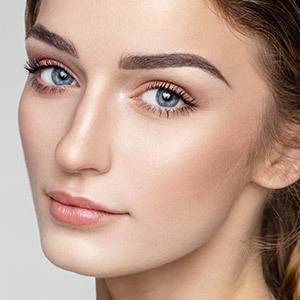 You may wish to change the size and/or shape of your nose or correct a noticeable defect (e.g., hump or depression on the bridge, flared or asymmetrical nostrils) that makes you self-conscious or unhappy. The defect may be something that you were born with or something that resulted from an accident or injury. You have breathing issues due to the shape of your nose or its internal structures. Another indication that you might benefit from rhinoplasty is that you have problems breathing through your nose due to its shape or internal structures. Many people pursue rhinoplasty for the chance to make cosmetic improvements to the nose and correct functional defects that impair the ability to breathe normally. Your nose is no longer growing or developing. If you are a teen considering rhinoplasty, it is important that your nose has stopped growing before you pursue surgery. For girls, the nose usually stops developing around the age of 14 and for boys, the age of 15. Operating on a nose that is still developing and changing could have a negative effect on the ultimate outcome. You have reasonable expectations of surgery. During your rhinoplasty consultation, you should articulate what you hope to achieve from surgery. It is important that you have reasonable expectations of the operation and that you understand that surgery can improve your nose but cannot perfect it. You do not have any medical conditions that could increase the surgical risks. Dr. Lee will perform a complete physical examination and ask you about your medical and health history. You should be in good general health, not smoke and not have any uncontrolled medical conditions or allergies to anesthesia that could increase the risks of surgery. Possible factors that could preclude you from having surgery include high blood pressure, heart disease or bleeding disorders. If you are interested in discussing your eligibility for rhinoplasty surgery with Dr. Lee, please request a consultation by contacting Enhance® Medical Center. You can call us at (310) 271-5954 or send us a message online.